Following the massive success of the NES Classic and its follow-up, the Super NES Classic, other video game companies have scrambled to cash in on the mini retro console craze. None have been able to capture the same lightning in a bottle that Nintendo did with its offerings, though; the most notable example, the ill-fated PlayStation Classic, crashed and burned pretty hard. After Sony’s failure, it’s only natural that Sega — Nintendo’s main rival in the 1980s and early ’90s and a battle-hardened veteran of the legendary console wars — is stepping up to the plate. Sega might have lost that particular war, but the company is still around, and there’s no denying that its consoles (particularly the Genesis) were home to some of the best games of that era. The Genesis, dubbed the “Mega Drive” outside of North America, was far and away Sega’s most popular system. In fact, it was really the only one to even come close to giving Nintendo a real run for its money, so it’s easy to see why Sega chose its 16-bit machine for a retro console project. People had long been speculating that Sega would offer some competition to the NES and SNES Classic, so it was no surprise when the aptly named Sega Genesis Mini was announced in April 2018. Now, after about a year since the initial announcement, we’ve finally got a look at the new mini console. It looks like a scaled-down version of the Genesis — no huge shock there — but Sega also revealed 10 games that were coming to the system (with 30 more yet to be revealed), and it’s now available for pre-order for the first time. The pickings here look very good so far; game selection was far and away the weakest part of the PlayStation Classic and the reason that console wasn’t a success, so Sega looks primed not to repeat Sony’s mistake. 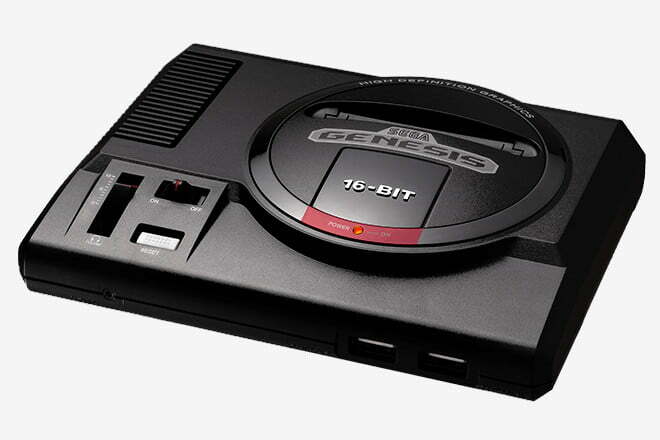 Slated for release this September, the Sega Genesis Mini will cost $80 and comes with two controllers. Given that Nintendo won’t be making any more NES or Super NES Classic consoles (an N64 Classic is rumored to be coming, although the company denied this), we imagine the Sega Genesis Mini will be a hot item during the 2019 holiday season. It’ll likely be hard to get, too, if the shortages of Nintendo’s mini consoles are any indication. If it’s on your Christmas list this year, then pre-ordering your Genesis Mini is the surest way to get it into your hands. Looking for more great stuff? We’ve found cheap PS4 games, Switch deals, and Xbox bundles.